The nation’s affordable housing crisis is well-documented. More than half a million people in America are homeless and 11 million people spend over half their income on rent. The vouchers and public housing the federal government provides are not sufficient enough to house all those in need or to address some of the underlying social problems that lead to homelessness or housing insecurity. Affordable housing advocates across the nation are attempting to address the problem at the local level, but they often face political and community opposition. These challenges are currently playing out in Baltimore, which is turning into a case study in how the best-planned civic interventions run into tough road blocks when it comes to tax increases versus moneyed special interest who seek to block those tax increases. In July 2016, a diverse coalition initiated the “Housing for All: Baltimore” campaign with a goal of securing a housing trust fund for the city. That November, they secured passage of a ballot initiative by an overwhelming margin of 83 percent. Even so, the city allocated no money to fund the trust until this year, but efforts to fully fund the initiative have stalled. To pressure the city to more expeditiously fully fund the Housing Trust (as Baltimore voters approved), the Housing for All coalition announced it would canvas for a charter amendment to the law to ensure money would be allotted in 2019, requiring 5 cents of every $100 in assessed city property go to the fund. The campaign announcement pushed the city to finally compose legislation to finance the program fund through excise and transfer taxes on properties valued at more than $1 million and related construction loans. This seemed promising, but shortly after introducing the ordinance, city council members began proposing loopholes to weaken it including exempting owner-occupied residential properties such as luxury townhouses and condominiums from the tax until 2021. Additionally, construction loans to developers who obtain a building permit before Jan.1, 2019, will be exempt. These amendments came from councilman Eric Costello, who has a history of offering subsidies for the wealthy. He represents South Baltimore, where about 30 condominiums and other developments are already planned for construction. As is uniformly the case when public officials are acting on behalf of special interests, Costello and supporters of his amendments claim they will “protect investment in the city.” But the truth is Costello’s amendments could leave the housing trust fund dry. An economist from the Baltimore Housing Roundtable estimated revenue loss of up to $10 million dollars, though the city quickly presented a counter estimate of no more than $1.15 million in lost revenue. In the less optimistic scenario, the housing trust fund’s funding could dwindle to $10 million dollars by 2023, half of what was promised to residents. The Housing for All proposal aims to raise $20 million annually for the housing trust fund within the next five years using tools such as obligation bonds and excise taxes. So, carving out loopholes and tax exemptions will seriously weaken the city’s ability to raise sufficient funds for a housing trust fund that an overwhelming percentage of Baltimore residents approved. At a minimum, annual Ordinance of Estimates or other proposals will provide the program with a rising minimum sum that maxes out at $7 million in 2023. To fully meet its $20 million goal, the housing trust fund depends on the very excise and transfer taxes that Costello proposes to weaken. In a city where 33 percent of renters spend more than half their income on rent, Baltimore’s proposed $20 million housing trust fund is already a very modest response considering the scale of the problem. The city government’s willingness to risk such a loss in funds to satisfy developers is unsettling but not surprising. 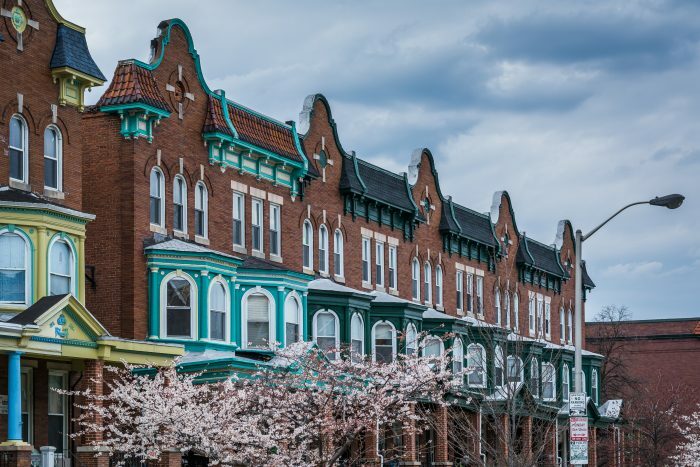 Baltimore’s ongoing affordable housing battle demonstrates that even with public will to address affordable housing, securing policy solutions isn’t always easy, particularly when well-heeled developers and real estate investors intervene.